When planning your wedding or reception at a restaurant, there are a few things to keep in mind. The first consideration is the size of your guest list. For a smaller event, you could consider a partial reservation to keep costs low. The downside is that the rest of the restaurant is open to the public so you have less privacy. For larger events or for a more private event, consider a venue with private banquet rooms. The next considerations are the location and type of cuisine of the restaurant. A restaurant located in an area with views will offer you the chance to have a wedding or reception photoshoot without having to go to another location on your big day. And a restaurant with a quality menu will make sure your guests don’t leave hungry. The Waterfront Restaurant is located in the recently-built Riverside Center South along the Mississippi riverfront in the downtown area of Lacrosse. Since 2006, the Waterfront has been offering a combination of great food and service, and has managed to become popular with both locals and travellers alike with a seasonal menu that includes land-based favorites like USDA Prime beef and the freshest seafood around. 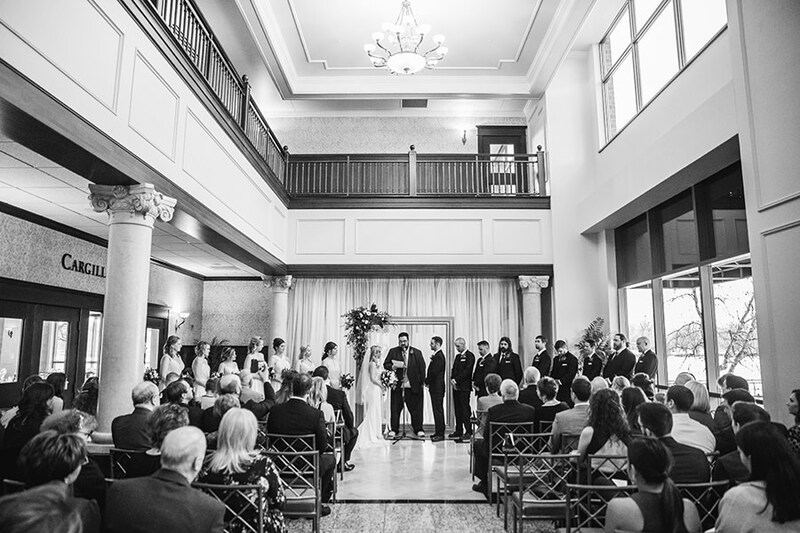 At 6000 square feet, its largest event space is the Cargill Room. It offers customizable configurations to suit your needs. For a sit-down dinner setup with banquet round tables, the full room seats 250 people while the half room seats 100. For a reception setup with cocktail tables, the full room has a capacity of 400, while the half room can hold 125. If your event is small and you take advantage of the half-room option, the divider is a soundproof barrier, so you don’t hear another event happening at the same time. There are two private bars at your disposal, as well as a coat check and a powder room for you to prepare for your reception. To keep your guests entertained, there is a custom lighting and projection system as well as high-speed wifi available.